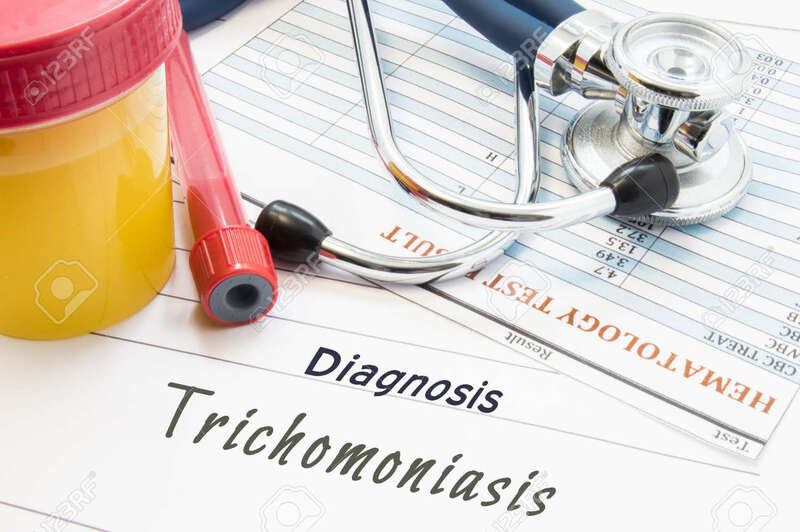 Diagnosis Trichomoniasis. Stethoscope, Lab Test Tube With Blood, Container With Urine And Result Of Blood Laboratory Analysis Are Near Doctor's Opinion Diagnosis Of STDs Disease Trichomoniasis Royalty Free Stok Fotoğraf, Resimler, Görseller Ve Stok Fotoğrafçılık. Image 85054261.